Bodysuits/Spandex suit have always played a big part in Cosplay, Superman, Spidey, Green Lantern. You see amazing Cosplays of these characters and more at every convention you go to. The detailed and colourful bodysuits play a huge part in bringing these characters to life. 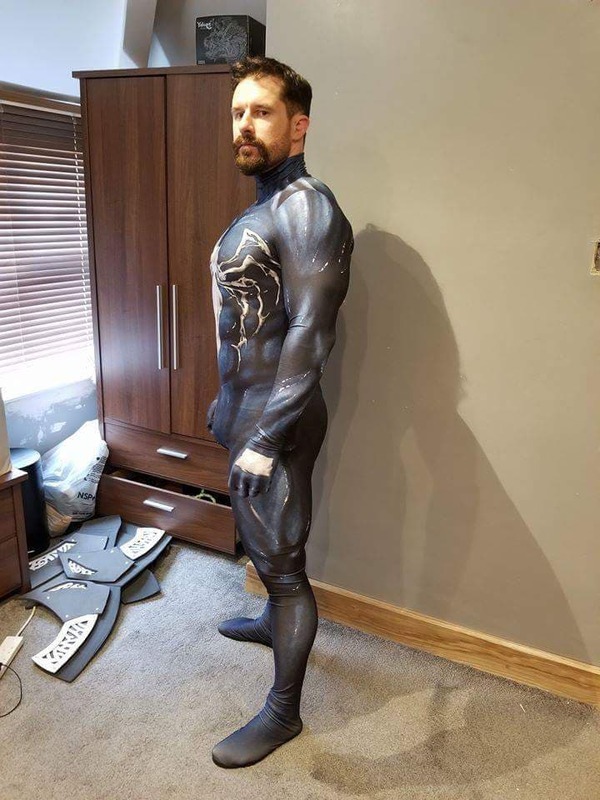 Recently due to websites like Arachnid Studios, there has been a huge growth in bodysuits aimed at female cosplayers which has become incredibly popular, on top of that the designs for the suits have become far more detailed and more impressive, as has the way these designs are now printed onto the suits. I myself have recently joined the super suit squad with Venom and Nightwing, so here’s my guide to getting yourself your very own super suit and becoming your own Superhero! So first you need to start by purchasing the suit pattern you like, this can be done through a website specializing in suit patterns like Arachnid Studios. Once purchased you will receive a download of your pattern. Next save the pattern into your Googledrive. Next you need to find yourself a suit printing site, I personally use Zentai Zone. They will print the pattern onto the material, sew it to your personal specifications and post it out to you. First thing you need to do now is to enter your measurements, I suggest getting someone to help you as to get the most accurate measurements you can. This will ensure you get the best overall fit. For those that have no experience measuring up for these types of things (I had no clue with some initially. Below is a brief description of how to measure for your suit. • Head Size – Circumference of largest part of your head. • Height – From top to floor. • Neck Size – Circumference of largest part of your neck . • Shoulder Width – Shoulder to shoulder. • Bust Size – Circumference of largest part of your chest. • Waist Size – Smallest part of waist. • Hip Size – Circumference of largest part of your hips. • Thigh Size – Circumference of largest part of your thigh. • Sleeve Length – Length from shoulder to middle finger including hand length. • Wrist Size – Circumference of your wrist. After entering your measurements, you’ll have the option to add extras to the base suit. These can be anything from a thicker material (Super Lycra), soles for the feet and hidden zips. These can be in the back or sides for ease of getting into the suit, wrists for phone use or to accommodate you toilet needs. Finally before finishing your order, in the notes box copy and paste your Google Drive link to your pattern (Be sure your settings allow others permission to see the link. Tips on wearing it for the men. I can’t stress enough, but please wear a dancers belt whilst wearing your spandex costume. You will be on display and it’s not a sight anyone at a family run comic con wants to see when meeting anyone in spandex costume. You can easily buy a belt from ebay or amazing and it’s relatively cheap to buy. I can’t wait to see more epic super suits at my next Con! To see “King Of The North Cosplays” of Venom or Nightwing, you can on Instagram and Facebook.